Can you still receive compensation in a dog bite attack if the animal was provoked? California's dog bite law specifically allows provocation as a defense for liability in a dog bite claim. This means that you might not be eligible for compensation if the owner of the dog that attacked you can prove that you provoked the animal. California's dog bite statute allows a person who is bitten by a dog to pursue a claim for damages based upon a theory of strict liability. This means that the dog bite victim does not have to prove liability, only that the dog bit the victim. However, that standard is not absolute. 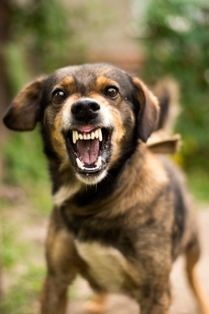 California's dog bite law allows provocation as a defense, which means that the conduct of the dog bite victim will be taken into account to determine if the claim should be denied entirely or the damages should be reduced by some percentage of fault attributable to the bit victim. 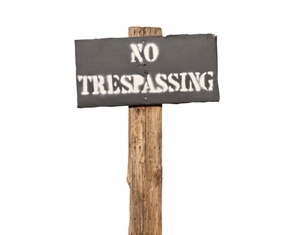 What constitutes provocation is not clearly defined in California and is often case specific. This ambiguity has led to some difficulty in settling dog bite claims where provocation is properly asserted as a defense. Some relatively clear examples of provocation include, a person who hits or kicks a dog repeatedly without reason, such as self-protection is an act of provocation. Other actions of provocation which do not include physical harm to the dog might include, taunting a dog with noise or food such that it causes the dog to reaction aggressively. In these circumstances a person who is then bitten by the dog they are provoking may not be eligible for compensation for some or all of the damages suffered by a dog attack. However, the nature of the attack would be measured against the dog's reaction to the alleged provocation. Some portion of the dog attack might be attributable to the provocation, while another portion is found to be out of proportion to the victim's behavior, thereby holding the dog owner responsible for the additional injuries. Provocation does not necessarily have to be intentional or malicious conduct towards the animal. For example, stepping on a dog that you didn't see might be considered provocation depending upon the circumstances. Erratic, aggressive, or threatening behavior towards the animal's owner or caretakers may also be interpreted as provocation, even if the dog bite victim made no attempt to interact with the animal directly. Petting or feeding a dog. Playing with a dog and patting its head. Rising up and turning to face a dog, when previously seated in front of the dog. Dangling hands and arms over a fence, without making quick or threatening gestures towards the dog. Most actions of provocation are measured by the "reasonable person" standard. In other words, would a reasonable person interpret the particular behavior as likely to provoke a dog to act aggressively? In making this analysis one would consider the age of the victim and his or her ability to understand the consequences of such actions. Very young children are assumed to lack the capacity to understand their actions may provoke a dog. Since the definition of provocation is somewhat subjective, the dog's past behavior will also factor into whether provocation is allowed as a defense. If the dog has a past history of aggressive behavior, provocation will less likely be a successful defense. Owners of animals prone to aggression have an elevated responsibility to secure their pets or otherwise limit contact to ensure the safety of others. A bite victim who is unfamiliar with the animal can't be expected to know that the animal is more aggressive than average. The dog owner assumes the responsibility to protect others from their dog. You provoked the dog or were engaged in an activity which would cause a dog to act in the manner it did, such as, trespassing, engaging in criminal conduct, etc. Medical expenses, including past care and any anticipated future medical care related to your injuries from the attack, including future medical care, if applicable. Loss of wages for the time you were unable to work due to your injuries. Any applicable loss of future earning potential due to your injuries. Pain and suffering, including physical discomfort, emotional trauma, disfigurement, disabilities, fear and similar claims related to the attack. To maximize your eligibility for compensation, it's best to work with a personal injury attorney who has extensive experience handling dog bite claims. The legal team at Inland Empire Law Group is dedicated to helping California residents receive fair and prompt dog bite settlements. Please call today to schedule a free, no-obligation consultation at either our main office in Rancho Cucamonga or our Victorville location.